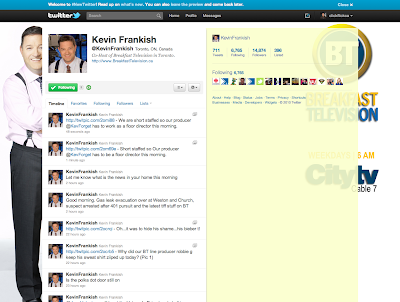 I was watching the last episode of Webnation on CP24 News which is a Tech show in Toronto. The show had mentioned a pair of gloves called "Glider Gloves". 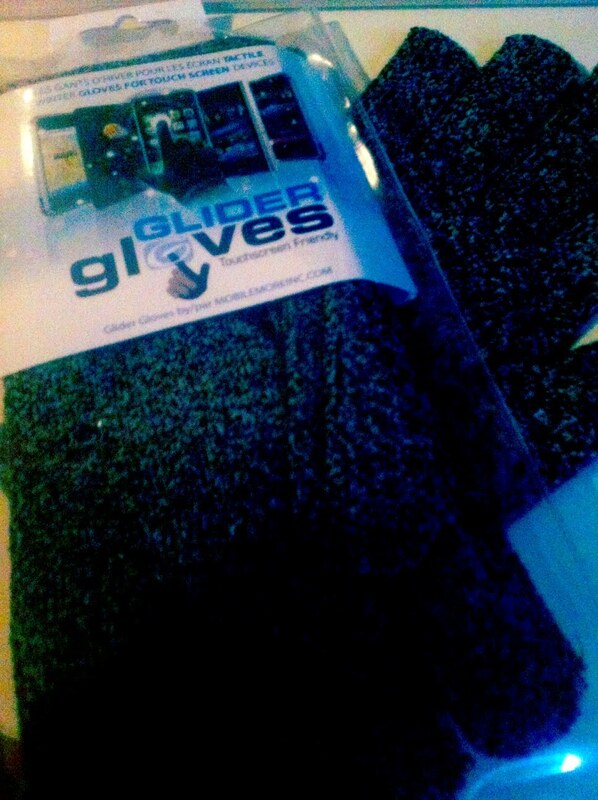 Glider gloves are winter gloves for touch screen devices. As you all know I'm quite the smartphone addict when using my iphone to stay connected with my social network. I posted a tweet shortly after the show and mentioned that I would like to try a pair and the great folks at Glider Gloves have reached out to me with some samples in which I may giveaway soon to one of my readers. This is another example of the Power of Twitter. More on the gloves, at first glance I thought they look like cheap gloves and was skeptical to see if they actual work with touch screens. Honestly, I thought they look like the cheap dollar store gloves (You know what I'm talking about). After opening the package, I slipped a pair on and they actually work to my amazement, I even try another pair of regular gloves and they don't work with the touch screen of my iphone. So I'm stating here that the "Glider Gloves" do work. The Glider gloves are meant to be unisex and can be worn on their own or inside a thicker glove. What are your Pet Peeves during the holidays? December always seems to be a time of stress with all the holiday parties and family get-togethers and the rush to get things done before the end of the year. Here's a quick post of various "Pet peeves" from my Twitter friends. So funny and so true! @ekochman The fact that as soon as Thanksgiving is over, all the radio stations insist on playing Christmas music all day. @Amanda_Fraioli Getting 75 different boxes of Panettone that last until Easter. @SteffieEhm At anytime of year...people being rude to their grocery store cashier. A smile and a thank you go such a long way. @clickflickca buying a gift before Christmas and find the same item after Boxing Day for half the price but no price match. @briguy100 not being able to afford what people want for xmas! @gwenstyles outlet and warehouse sales being so inaccessible to those without cars. @wellthatsdumb hearing the same 6 songs regardless of what store you shop in. @jennelizhicks not a fan of the secret santa! @Entripy My #petpeeve during the holiday season is crazy shoppers...in the mall...in parking lots...everywhere! @nympsam I think it's the competitionish feeling about getting gifts that's my #PetPeeve. We put so much emphasis on it. Chill out ppl! @mads_kassinger people bringing their 4 seat strollers w/no kids into stores when they're packed and running over people. Why.. Just why. @TheRounder When Santa doesn't eat all the cookies I put out! Rude! LOL! @KBTaylor Slow walkers on busy shopping days - seriously people, keep to the right if you plan on a leisurely stroll. @Nancyjt My #Petpeeve: how crowded every place gets and how people forget about politeness and consideration. If you follow me on Twitter than you know I talk a lot about #ICE. #ICE stands for Interact, Communicate and Engage on Twitter because it makes it more fun to use. It only made sense for me to talk about Dentyne ICE and their new promotion that ends December 15 because of the obvious word correlation and well it's a fun promotion. So what is the promotion by Dentyne? 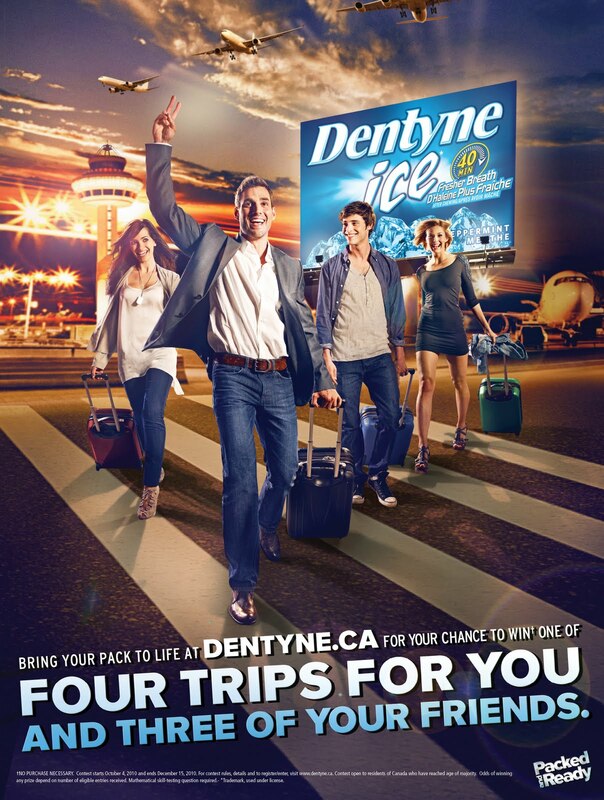 Dentyne is offering a spur of the moment trip to Las Vegas for you and three friends. All you need to do is grab a pack of Dentyne gum and bring it to life at dentyne.ca. Only one trip is open for boarding at a time, so keep checking in before December 15, 2010 for the next departure. If you do miss your boarding call, don't worry! There are lots of chances to win. 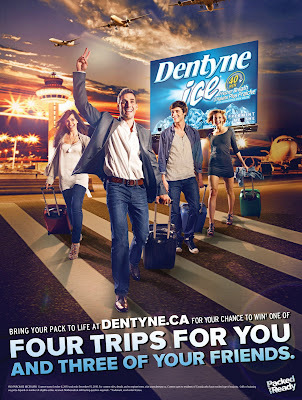 Follow @dentynecanada #dentynepar on Twitter and visit facebook.com/dentynecanada for more information. It has just be announced that UFC 129 will be coming to Toronto on April 31. Here's a short clip of me with George St. Pierre. I'm sure he will be on the card for this event. Looking forward to this event. 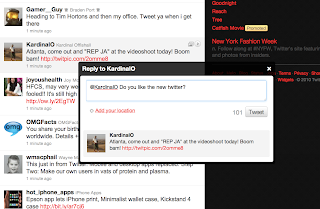 Twitter has introduced a new interface that promises to be faster and a more engage experience. The biggest change is the 2 pane interface. The left panel continues with the traditional stream and a right panel has all your "Followers" and who you are "Following" with Trending topics and Trends. This panel changes if you click on rich media from the original stream such as photos or videos. 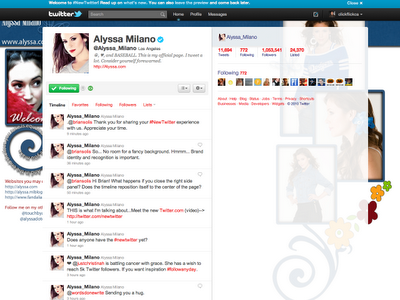 You no longer need to leave twitter.com to look at photos or videos. Twitter has signed with over 16 partners such as twitpic, yfrog, and youtube to name a few. I really enjoy the fact that you do not have to leave the the website to view images and videos anymore. 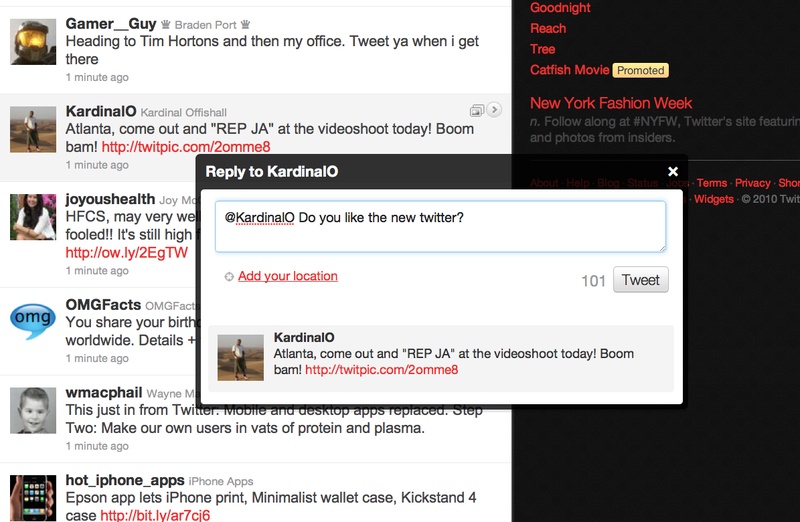 I also like the new pop up window when you "Reply" to a tweet. Twitter keeps you inside the site to experience all the content. Keep in mind that this is still a preview and that changes can still be made as user(s) like myself continue to experience the interface. 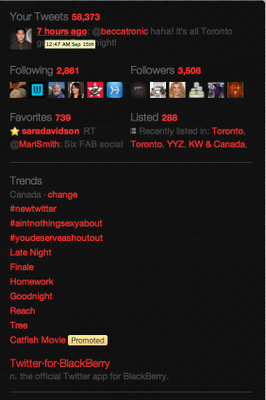 I think the biggest drawback of the new interface is your "Branding" if that is important to you. If you are just a regular user(s) it shouldn't be an issue but to the person who relies on "Brand Awareness" some tinkering maybe required for you. The bottom image showcases Kevin Frankish a morning tv show host in Toronto with his Twitter landing page. You can obviously see that certain areas are covered with the extended panel interface. I also did not like the "Auto Update" on the main stream because it has a slight delay to refresh. If you are viewing photos within the panel it does not showcase how many have viewed the photo which is an important metric for some. Overall, with anything new it will take time to learn and untrain the mind from getting use to the new interface. 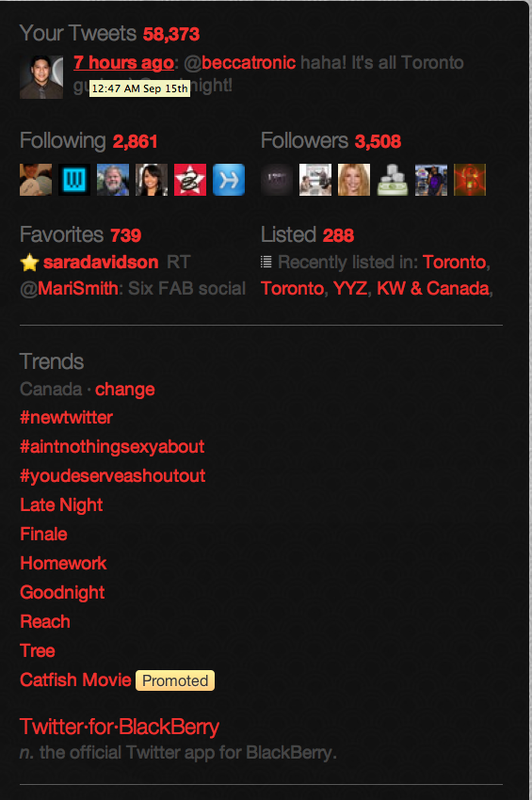 I'm sure Twitter will continue to tinker and also add more options as the new Twitter rolls out to everyone. I had to chance to meet George St. Pierre better know as GSP of the UFC in Toronto. I was able to ask him if he uses Twitter. The Leafs in conjunction with Coke have a great promotion for the Coke Zero Fans First Game. They are giving away tickets to the 1st Pre-season game against the Ottawa Senators on September 21, 2010. 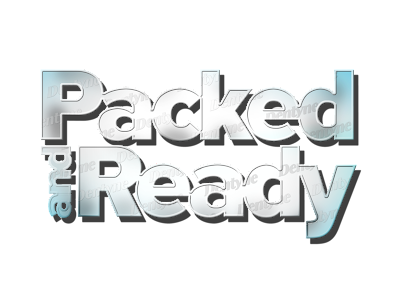 You have an exclusive chance to WIN before they release to the general public via my site. It's never too early to talk hockey right? All you have to do is leave a recorded message to the right of this blog post on the Wag Cast for a chance to WIN (Click Red button). Most creative attention getting message will WIN a pair of Leafs tickets. Leave a message and Good Luck! A winner will be chosen by end of day! Earlier on Twitter today I ran a contest for a pair of tickets to the Bon Jovi concert(See previous post) being held at the Rogerscentre in Toronto. I've been lucky to have a bunch of tickets at my disposal. I had one last pair to giveaway and decided to be creative with the giveaway. I'm as social instigator and enjoy creating conversation via #ICE. ICE stands for Interaction, communication and engaging on Twitter. It makes it more fun. What better way to giveaway tickets than to have followers tweet the most creative/intriguing tweet that would get my attention. This contest was based on the fun aspect of winning tickets. Considering the 2 most creative tweets, I selected both @Nympsam and @Cellguru. I decided that the winner will be judged by Twitter people on the mentions/DMs and considerations of the two finalist. I decided to choose 4pm as a designated time to allow conversation to continue and to overall/count and see who was favoured in conversation and mentions during this time period. The early remarks were even but eventually lead in favour to @CellGuru. On that note I congratulate him on winning the tickets. That said, I want to "Thank" @Nympsam who've i followed and have enjoyed her tweets continuously. My condolences go out to the untimely death in her circle. It puts Life and things into perspective. This situation made it difficult because it was becoming a contest based on emotion for me. It is very difficult to separate emotion when i've personal experienced death in recent memory; this is hard when Twitter is based on this premise of evoking emotion. I had to focus on the initial understanding that this was a fun contest. On that note, there are no losers here. Based on @Cellguru 's tweets he will award myself and @Nympsam a prize pack from his company. I will also give @Nympsam a gift pack for her funny and laughable tweets too. My initial aim is to reward my followers and to engage my followers at my own expense literally. I will also openly invite @Cellguru and @Nympsam to drinks to continue the future of possible new friendships/networks with each other. This should be valued more over a ticket or a prize but the friendships we can share in this thing called "Life". Considering the tweets of both of them they are all genuine people. 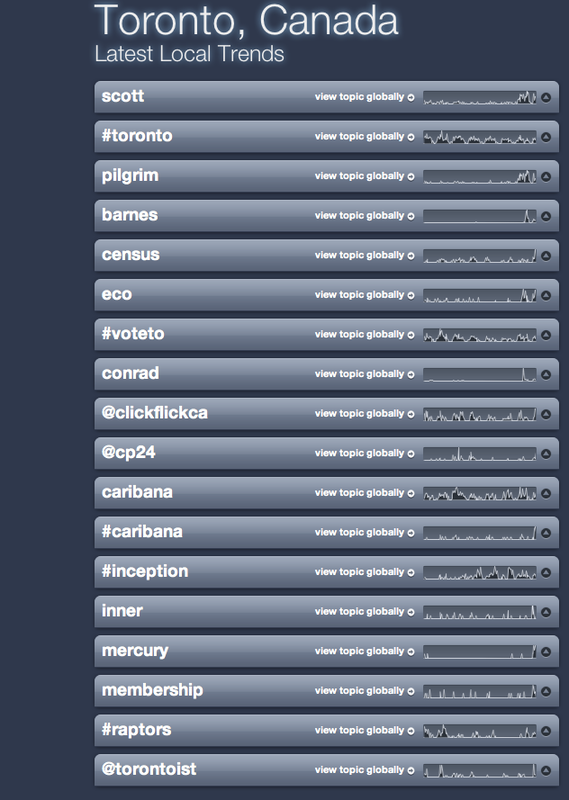 Thanks to everyone who tweeted and engaged in this unique social networking contest. 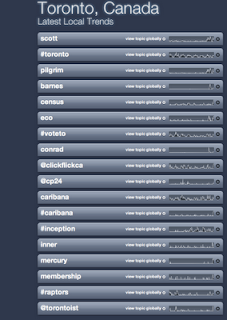 During the contest it also became a Trending Topic which was interesting to point out as well as the attention it received. If you have any questions feel free to tweet or comment :-) Thanks guys! Who can win? Anyone who Retweets the #ICE tweet on Twitter: "Interact, Communicate and Engage on Twitter. It makes it more fun to use." Where: The draw will be drawn by me from all the names in a hat. Simple and basic. What: You will win a pair of tickets to Bon Jovi concert. Seating locations vary for each pair. When: The draw will start at 8pmET for the concert on July 21st in Toronto. Why: Why am I doing this? I'm doing this to give back to people I follow and to continue to use #ICE because it's fun! Hopefully new followers will learn and spread the word! It's makes Twitter fun too! I made the purchase of tickets at a discount so these tickets cost me my own money. I hope you do not resell the tickets for profit. I would really like to use these tickets for those that are true fans. Why would I do this? Simple, Twitter has rewarded me more than the cost of these tickets so giving back is simple and easy decision. I'm not working for a company or PR firm. I'm just giving because that's how i roll! No hidden agendas here. Sharing is caring :-) Now Good Luck to all. Arrangement to pick up tickets can be discussed via email after! !